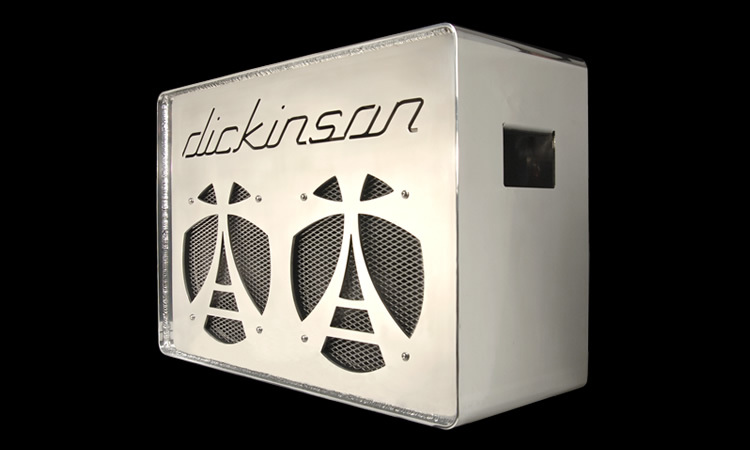 The Dickinson MkII is our current 2×12 combo. We wanted to build on the success of our Mk1 incorporating improvements and refinements whilst maintaining the character of the amp. As with the Mk1 our aim was to build a classic point to point wired valve amp with all the dynamic, warmth and expression that you would expect from a great vintage amplifier but taking advantage of improved modern components and manufacturing techniques. The amp has incredible clarity, transparency and headroom even when pushed into saturated distortion. 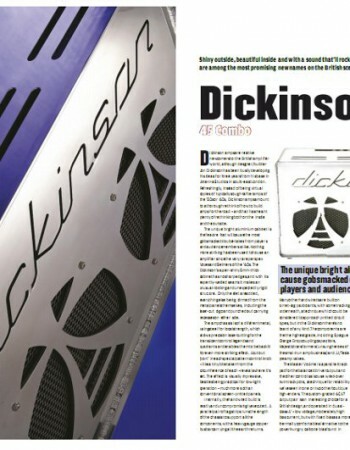 The Aluminium cabinet gives the amp a level of sustain and dynamics that has to be heard to be believed. 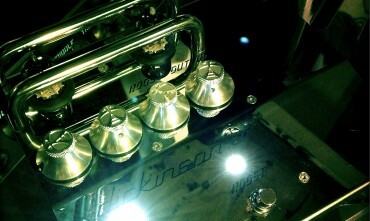 As on the Mk 1 the amp features two channels each with there own high and low input and volume control. Channel one has more gain and is generally fatter sounding, channel two has a little less gain and is brighter. The channels mix and share a tone stack and the overall volume of the amp is governed by the post phase splitter master volume. 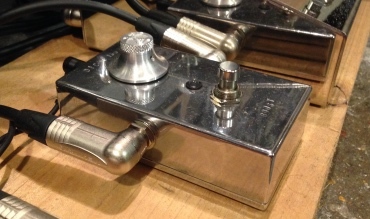 Using an A/B box you can switch between the cleaner channel two and the dirtier channel one or mix both. A bias switch allows the use of EL34, 6L6, KT66 or 6CA7 output valves to allow a subtle but fundamental adjustment of the amp’s sound. 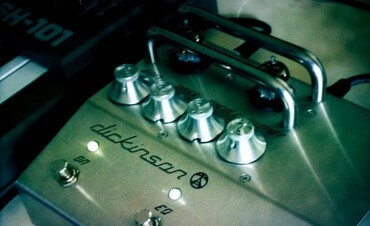 The amp also features a switchable silicon / valve rectifier. The MkII cabinet is cut from 5mm aluminium plate, seam welded then mirror polished and features smooth radiused corners. 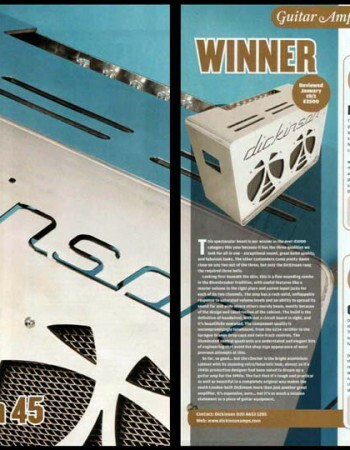 The cabinet is loaded with Celestion G12H Heritage Greenback speakers. The stainless steel chassis features a laser cut back-lit control panel and custom milled Aluminium knobs. 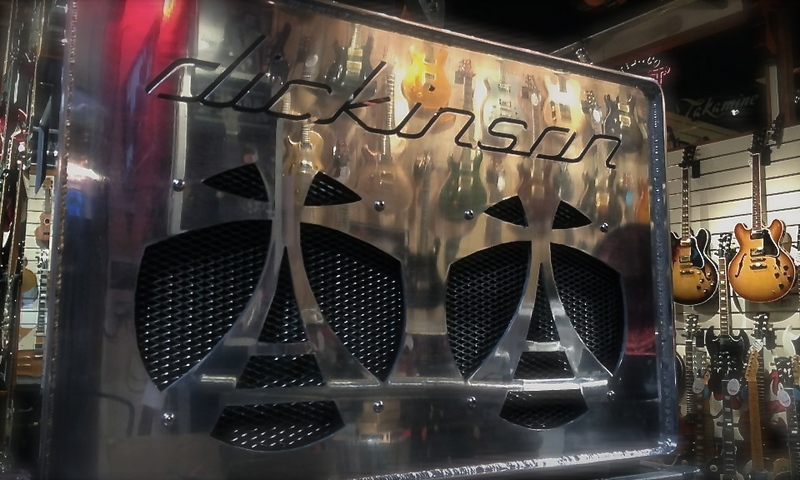 The custom made transformers have nickel plated shrouds and the amp uses stainless steel fasteners throughout. 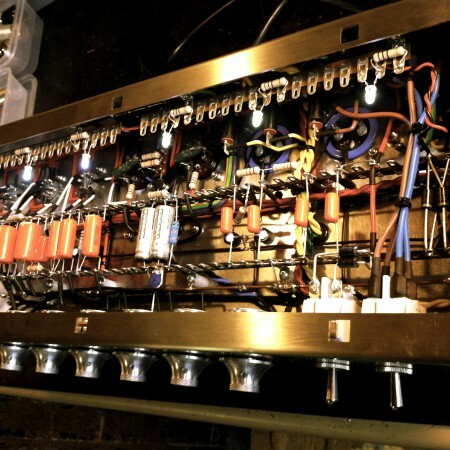 The hand wired, point to point circuit features an all valve signal path using overspec electronic components to ensure a long and reliable life. This spectacular beast is our winner in the over-£1000 category this year because it has the three qualities we look for all in one - exceptional sound, great build quality, and fabulous looks. The other contenders came pretty damn close on any two out of the three, but only the Dickinson rang the required three bells. If you’re a fan of traditional amp values – a loud, clear and full sound, with great overdrive composure – then very few other amps have them in such measure. We can only ascribe this to the unique cabinet construction its excellent sustain and wide soundfield, which means that you may not find anything else that does the job quite as well.